- All attitude... with the strength and skill to back it up. This bear-man hybrid has a piercing stare that cuts through all deceptions. Artwork by Christy Grandjean. T-shirts are 100% cotton, and are printed with environmentally safe, water-based inks. Brown t-shirt. Choose Size... Small - Only 1 left! Medium - Sorry, Sold Out! Large - Sorry, Sold Out! X-Large - Sorry, Sold Out! 2X-Large (Clearance - $9.00) - Sorry, Sold Out! 3X-Large (Clearance - $9.00) - Sorry, Sold Out! Please choose the Size. 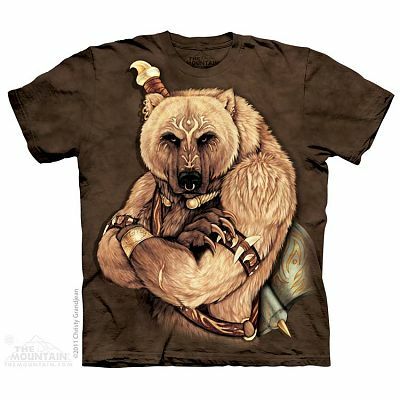 Do you have any other questions about our Bruin T-Shirt?